I'm not apologizing, but this post feels as much sham as shamrock. Not trying to be witty with the play on words, either...only the connection couldn't be ignored. What I mean is, I have let this blog sit post-less for too long, and this is only a check-in that barely exceeds a text. On the flip side, I love this version of a shamrock shake, and who doesn't love texting, or at least love the option of it? 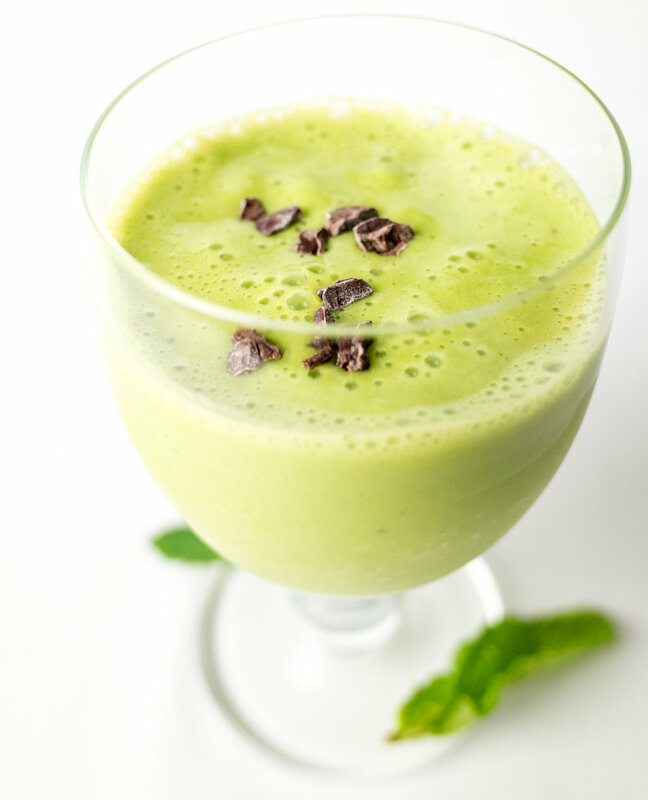 Truly, it's easy going green with shakes like this to start the day. Doesn't a little mint make everything lovely? Cacao nibs, even lovelier. My preference is blending them in with everything else rather than sprinkling on top only, but that's nice, too. Blend all ingredients in a blender until completely smooth. Add the chocolate either before or after blending.